The production of K226T helicopters would mark a major step in the long-time cooperation and relationship between India and Russia, said Russian defence manufacturer ROSTEC. 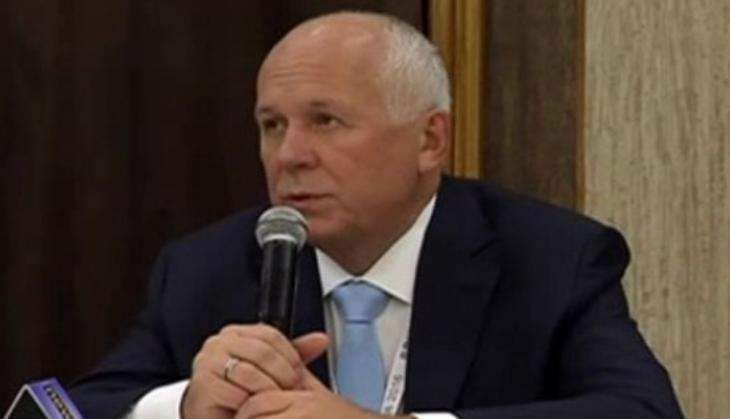 Addressing the media, ROSTEC CEO Sergey Chemezov said Russia since the 1990's has contributed significantly to India in terms of defence cooperation, especially in the production of Sukhoi military planes. "India has been our long time friend and our long time partner. We have been involved in multiple important projects for them for a very long time. Our joint productions have gone quite well, most notably in the 1990's we had the licensed production of the Sukhoi military planes in India," he said. "Today, we have signed a very important agreement for the production of K226T helicopters in India, this marks another serious step in our long time cooperation and a long time relationship," he added. Responding to a poser regarding the completion of the fifth generation fighter programme Sukhoi PAK FA, Chemezov, said, "As for the timeline, they are close to being done. I hope that all formalities are being sorted out. We see that they are close to being done by the end of this year." The Sukhoi PAK FA is a fifth generation fighter aircraft (FGFA) which is being co-developed by Sukhoi and Hindustan Aeronautics Limited (HAL) for the Indian Air Force. It is a derivative project from the PAK FA (T-50 is the prototype) being developed for the Indian Air Force (FGFA is the official designation for the Indian version). Chemezov further said the company has signed an agreement for joint production with Indian pharmaceutical company Cipla. "India has a very strong industry in terms of pharmaceuticals and we have signed an agreement for joint production with a major Indian pharmaceutical company, Cipla, which would give full lifecycle, full production of pharmaceuticals with Indian technologies for the Russian market," he added.